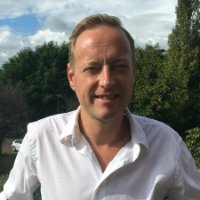 My name is Martijn Graat, and I am founder of LogisticsMatter, an online supply chain and logistics news platform. On that platform I blog about supply chain and logistics trends and developments. I also aggregate, curate, and share key news and background articles on its social channels. LogisticsMatter is one of the world’s biggest independent logistics blogs. I am a well known speaker on this subject and a frequently asked blogger on supply chain and logistics events. Next to that I help organizations in the supply chain and logistics arena with their social media and content marketing efforts. This can be on a strategical, tactical, or operational level. I can help with the development of your content strategy, I can create and manage your content calendar, manage the content creation process, or create the content itself. The same goes for your social media channels or your online advertising. And don’t forget your employees. They are powerful brand ambassadors. I can train and inspire them when it comes to creating content, and being active promoters of your brand within their own personal networks. Please contact me at martijn(at)logisticsmatter.com or call me on +316 24 54 27 30 if you want to learn more about content marketing, social media management, or training options. And also if you want to contribute to this blog or if you’d like to know more about sponsored content options.